Why Become A Sponsor Sótéria Kingdom Life Ministries International Inc.
John 21:15....When they had finished eating, Jesus said to Simon Peter, "Simon son of John, do you love me more than these?" "Yes, Lord," he said, "You know that I love you." Jesus said, "Feed my lambs." We are commissioned to teach or feed God's children His unconditional love, power and precepts. That they might fully walk in and possess the promises outlined in His word. 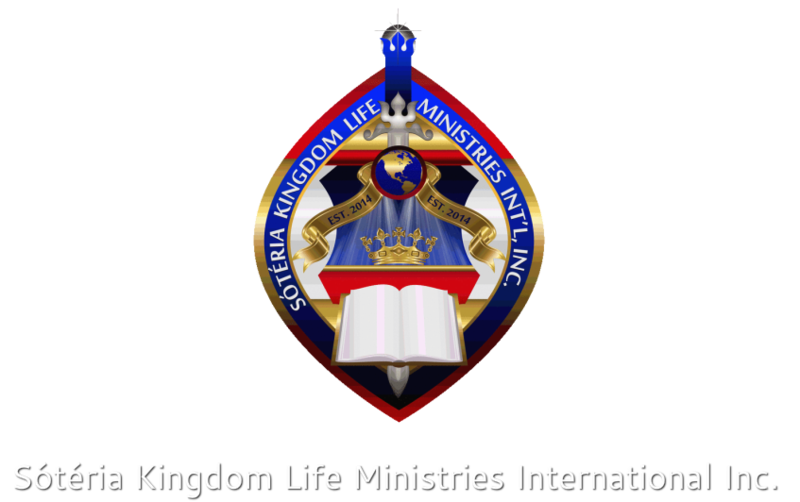 ​Sótéria Kingdom Life Ministries International Inc., is a US registered non-profit organization with tax exempt status under section 501(c)(3) of the US Internal Revenue Code, therefore your donations are tax deductible. 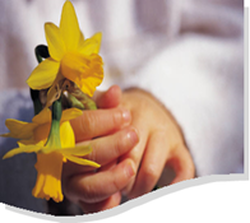 We are dedicated to becoming an educational global voice, and helping hand that will aid children along a life long journey of spiritual, physical, educational, and emotional empowerment locally, nationally and around the globe. Your donation will help educate and feed homeless children. Our community has a high rate of drop outs and low graduation rates, these programs increase college participation, educational success, and the introduction of teenagers into the workforce. 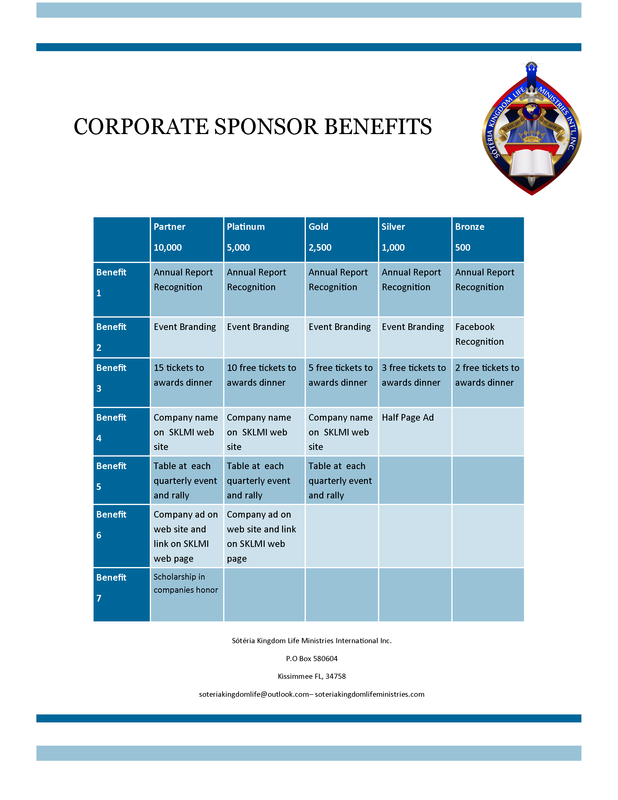 Our organization is committed to partnering with agencies that are well established in their fields to offer such training an opportunities to those in need. Our school program will be dedicated to teaching and shaping young minds to become responsible, caring, and self-reliant citizens. Our immediate goal is to solidify our programs locally, and take our efforts statewide, within two years provide missions outreach to Switzerland, and to open our Christian School serving grades K-3 with in the next three to five years. Ultimately we envision the development of a national program, and have already generated interest and partnerships within school districts in states other than Florida (Kansas & Missouri). This year, we currently have a regional administrator in place in the state of Oklahoma. Upon implementation of the proposed activities our organization will continue to address the needs of our target communities, to improve lives, and to assist in hunger relief, personal and academic achievement. 1. Gain funding for an educational complex and inform the community about our school programs and other services that prevent hunger and homelessness through free informational workshops, social service collaborative, and community rallies. 2. Connect individuals with other organizations that share a common interest in providing education, and hunger relief resources and opportunities to educate and feed school aged children on an ongoing basis. 3. Obtain computers, staff funding, interview staff, hire staff and obtain educational supplies for our educational programs. 6. Offer the feeding and outreach programs at no cost to school-aged students in Osceola County. Copyright © 2019 -2020 Sótéria Kingdom Life Ministries International Inc.